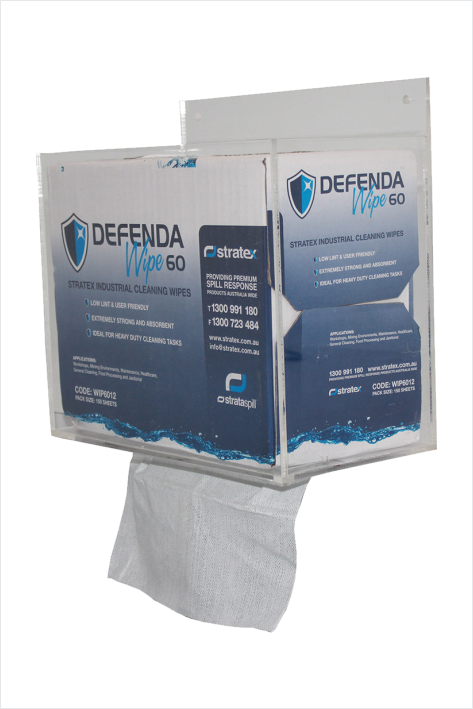 Clear acrylic wall mounted dispenser for holding disposable cleaning wipes (not included) Buy the Defendawipe 60 here: ( click here ) These are real handy in the workshop. Replaces normal rags. Wall Mounted Poly Wipe Dispenser. These Wall Mounted Dispensers are space efficient and can be secured near at hand in any workshop.